Mike docked and exited the ship, walking slowly up to the restaurant level and found a place that served decent sandwiches and coffee. He looked out over the concourse and sighed. It had been a quiet run through Caldari space, a few folks who knew him waving as he went by but no new pilots noticing his call or offer. But there had been an offer made to him. Some group called The Agency had a series of ‘this and that’ tasks that he could easily do on the fly while making the rounds in the Bus. The pay was not the best but a bit of pocket change would be welcome and it broke up the day to take a side field trip. Which brought him to the latest lesson. Finding the roads not taken. Sometimes you wanted to be with a group and he wished like hell more rookies paid attention but when it came to exploration it was nice to have a system to yourself. Even the rookies sometimes asked how to find unmined belts and he had made a lesson just for them of how to use Dotlan and specifically how to find the lesser trafficked areas using stats like ship kills, npc kills and jumps. How to look at a map and find the dead-ends where there was less through traffic and a better chance of finding things others had not come looking for. Islands and the implications of them, both hi and low. He sighed and stirred his coffee idly. Casual, that was what he was in spite of the time he put in. There were no demands for how long or when he flew save those of his own whims. No clock to punch or minimum isk to earn just drop into the ship and go. He eyes the news and sat up, seeing the potential for the opposite type of lifestyle. Timing, order, sequences to be scheduled and followed. Mike shuddered. Not for him but he followed up on the conversations surrounding it, both support and outcries of anger. (although he knew they could announce almost anything and get the same mix) The usual suspects spoke on the matter and in the end? Mike saw it is a good step forward. More pilots would be needed, not just a single supervisor. More opportunity to make a play for a steal or find a lot of juicy targets in a single spot. Mike chuckled at the note and finished his coffee. Uitra and the second pass through Caldari space then on to Gallente and a stop at home. He had a spring in his step thinking of seeing family and friends again. cry all you want, the mining shift looks like a decent change. The Agency event is meh, for now, but I have some ideas burbling in the back of my head about it. 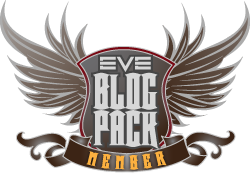 This entry was posted in Uncategorized and tagged eve online, In character, Live Event, Magic School Bus, Mike, mining, mission. Bookmark the permalink. This looks like a good change, a little late, but better than never. I didnt catch the part how long this exploded belts last, hope ccp puts only a small window for mining and not the lasy remains in space till the next moon part explosion. The only downside to me is the current holders will milk moons till the very last second, EVE stagnates like never befor. Winter can’t come fast enough. I think you are correct, it’s easy enough to be “serious” and invested in the game even while just buying game time with USD — but none of us buying monthly plex with ISK (and therefore needing to earn some calculated amount per day) can really be considered casual. I mostly follow my own whims too, but *must* work my space job to support my play style. I pay for the game with Canadian dollars so maybe it is a bit less real, for me. But I do still subscribe and do not begrudge the cost.